Orchids are exotic plants that create beautiful blooms. The Phalaenopsis orchid, also known as the moth orchid, is the most popular variety, but there are many different species of orchid. With the right care, most orchids bloom at least once per year. 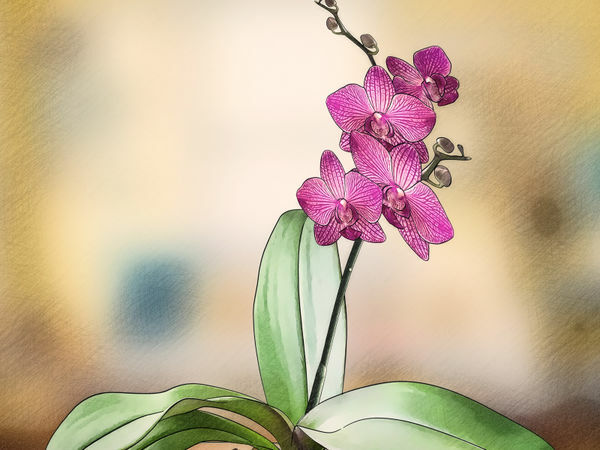 Every orchid species has slightly different needs in order to thrive and bloom, but the variables are all the same – light, temperature, water, potting material, and humidity. By adjusting the environment for your particular species of orchid and providing a few seasonal triggers, you can get your plants to bloom. There are many species of orchids, but moth orchids (Phalaenopsis) are the most common and easiest species to grow. This is the kind that is sold in most florist shops and nurseries. Placing them on a sunny windowsill will usually make them happy. They like bright light, but not direct sun. Some of the less common orchid varieties have different needs for light exposure. For instance, lady’s-slippers (Paphiopedilums) and Miltonias dislike direct light. A north facing window is a great spot for these orchid types. Cattleyas, Dendrobiums, Oncidiums and cymbidiums, on the other hand, need a lot of sun exposure to thrive. 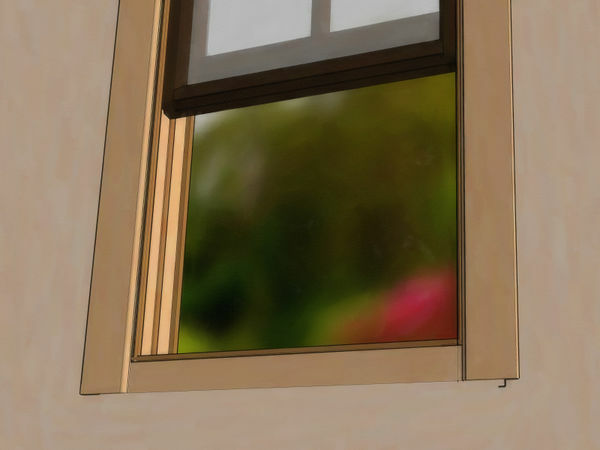 A south or west-facing window is better for these species. The Phalaenopsis orchid likes to be watered once per week during its resting period (when it experiences no growth or blooms) and twice per week during active growth. It prefers to be kept dry between waterings. 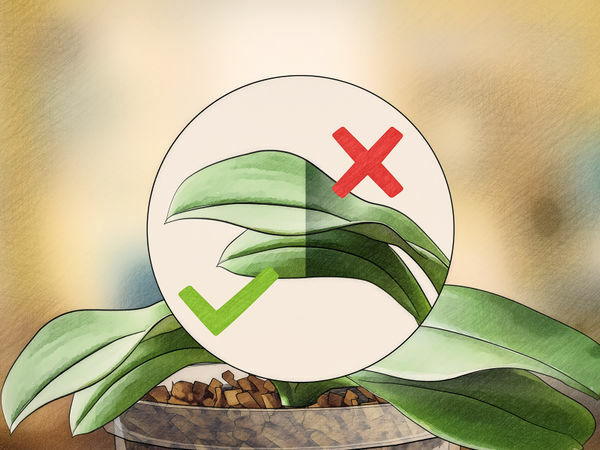 This means you should only water it when the potting material (which is usually a free-draining blend of fir bark) appears dry, or else the orchid could die. If the bark looks damp, it’s too soon. Make sure that there are drainage holes in your orchid’s pot. Orchids do not grow well when they sit in water. Water your orchid early in the morning. Most indoor orchids should be watered every 5 to 12 days, depending on the species and season: Vanda and Ascocenda have the same watering needs as the Phalaenopsis orchid. Paphiopedilum, Miltonia, Cymbidium and Odontoglossum varieties like to be kept evenly moist at all times. Cattleya, Oncidium, Brassia and Dendrobium varieties like to be kept evenly moist during periods of active growth. At all other times, they prefer to be kept dry between waterings. Most orchids are tropical plants, so they prefer a humidity level that they probably aren’t getting in the average living room. During the winter, a 30 percent humidity level is average for a home. 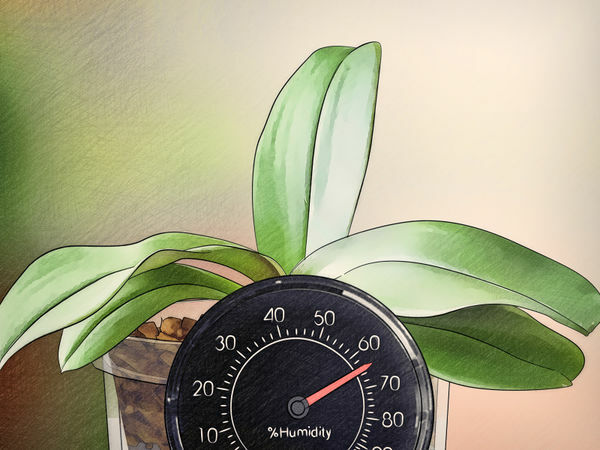 The Phalaenopsis orchid likes 40 to 70 percent humidity. Most other orchids prefer 60 to 80 percent humidity. By adjusting the humidity for them, all orchid species will grow a little better. If you group your plants together in one growing area and mist them frequently, this will create humidity. Consider getting a humidifier for the winter months. You can also buy special trays at most nurseries that can help you create humidity around the orchid. However do not place the orchid in a bathroom as this will be too much moisture. Make sure it's on a windowsill that gets plenty of light, but not direct sunlight. 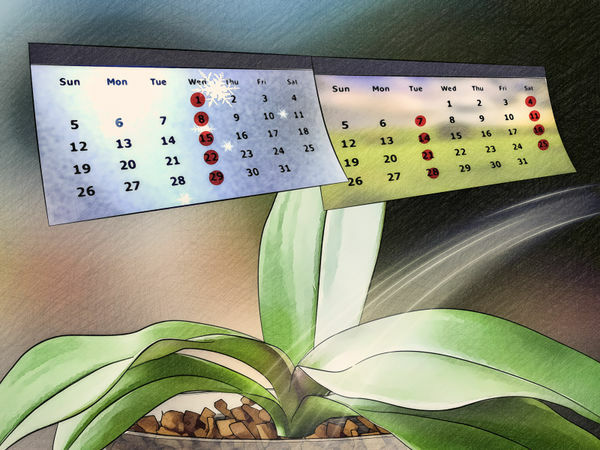 When an orchid refuses to bloom, the reason is usually because it isn't getting enough light. If you are unable to provide the right amount of natural light for your orchid, look into setting up full-spectrum lights indoors. 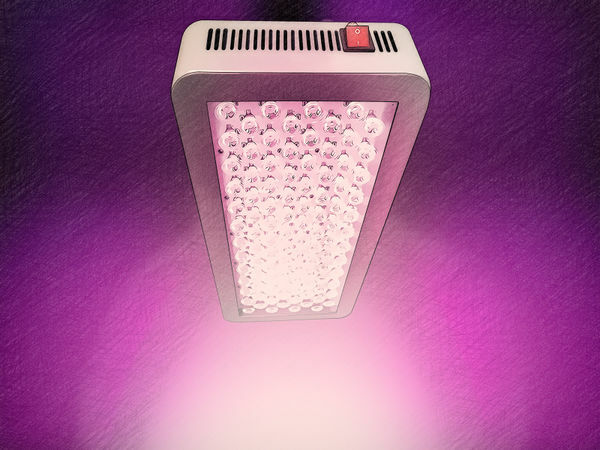 You can purchase these lighting systems at nurseries or order them online. There are sizes and shapes available to fit any space in your home. You can adjust the lighting to meet the needs of your particular orchid species. 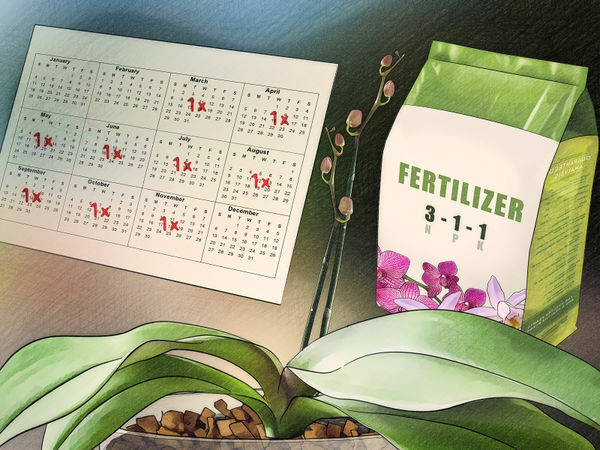 Feeding an orchid the right fertilizers can stimulate it to grow faster and bloom sooner. Look for orchid food that contains nitrogen (N), phosphorus (P) and potassium (K). It should also include trace elements like iron. Always read and follow the instructions of your orchid food carefully. Orchids should be watered thoroughly before fertilizing them. Some types of orchid food are granulated or dry. You must dissolve this kind of fertilizer in water before using. Dry orchid food is highly concentrated. Never use it directly on the plant. Once the granulated orchid food has been dissolved in water, pour it directly on the plant. The active growing season for orchids is approximately March through November. Don’t fertilize from mid-December until mid-February. If you fertilize it less than that, its growth may become stunted and blooms won’t appear. If you fertilize it more frequently than that, you risk burning the roots and leaves of the plant. Burning an orchid’s roots with fertilizer will also prevent blooms from appearing. Read the instructions for your particular orchid food carefully, since they may vary slightly from product to product. Make sure you fertilize just after the flowers fade to stimulate additional blooms. 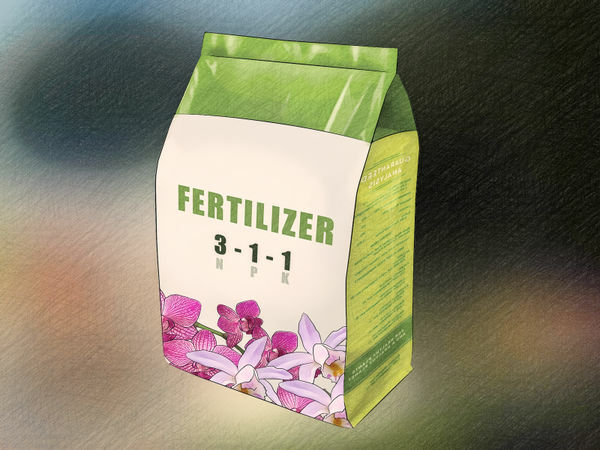 Fertilize again when new leaves or shoots appear and begin growing. Moth orchids (Phalaenopsis) are temperature sensitive. In nature, their blooms are triggered when fall arrives and the temperatures drop at night. If an orchid doesn’t experience a period of cooler nights, even an indoor orchid, it may refuse to make buds or bloom. If your orchid is sitting in a window, it’s probably experiencing natural temperature drops coming from outside to some extent. However, this may not be enough to trigger blooms. 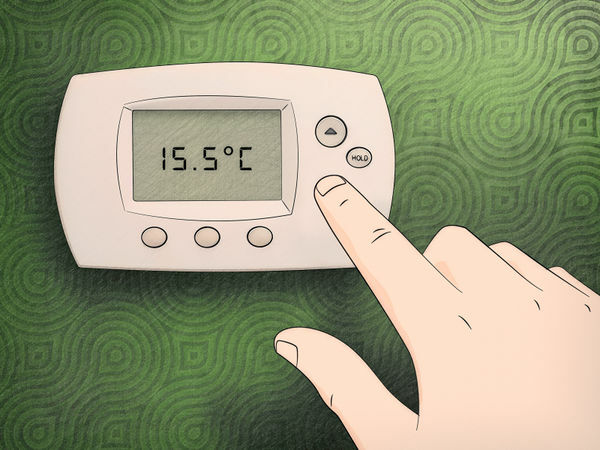 Before you go to bed each night, turn your thermostat down by 10 degrees. One to two weeks of nightly temperature drops will usually trigger an orchid to bloom, as long as it’s the right time of their growth cycle. For Phalaenopsis orchids, provide night temperatures of 60°F (15.5°C) and day temperatures of 80°F (25°C). Stale, dry air will prevent an orchid from blooming. Orchids thrive in an environment where fresh, moist air circulates freely. While humidity is a necessity, it can also become destructively heavy if not ventilated well. Make sure the air around the orchid is fresh by opening windows or keeping a fan in the area on a low setting. Each species of orchid has a growth season – a time of the year when it will naturally bloom. If it currently isn’t the orchid’s growth season, it isn’t going to bloom. Most orchids, including the Phalaenopsis orchid, will experience the growth of new leaves during the summer months. Spikes and flower buds will appear in late fall and soon after it will bloom. It will continue to bloom until spring. The blooming season usually ends around mid-February. The Phalaenopsis orchid usually blooms once every year. The blooms can last for several months. When the flowers fall off, a few more flowers might bloom from the same spike, but not always. If an orchid isn’t blooming, the reason is almost always because it’s not getting enough light. One of the best ways to figure out if your orchid is getting enough light is to check its leaf color. A healthy orchid getting the right amount of sun exposure will have bright green leaves. 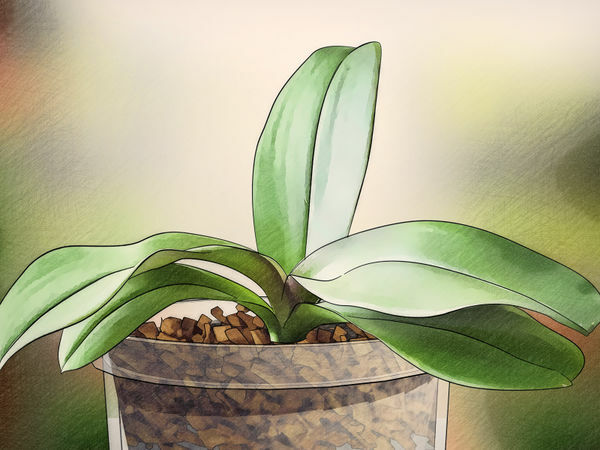 If the leaves are dark green, your orchid isn’t getting enough light. Move it to a brighter spot, like a south-facing window. If the leaves are reddish-green, the orchid is getting too much light. Move it to a less sunny spot, like an east or north-facing window. You will probably need to filter the light with a shade or curtain if you put a Phalaenopsis in a south-facing window. Moth orchids like a lot of light, but not direct light. If the stems and leaves appear wilted or shriveled, your orchid needs more water. You will always need to water more frequently when the orchid is actively blooming. During the resting period (when there are no blooms), water your orchid about once per week. During the active blooming phase, water it twice per week. Increase watering when you see new shoots and roots appear on your orchid. Too much water can kill an orchid quickly. Never allow your orchid to sit in a soggy, water-logged pot. Most orchids, including Phalaenopsis, do not grow in regular soil. They need a growing medium that provides fast water drainage and good air circulation. 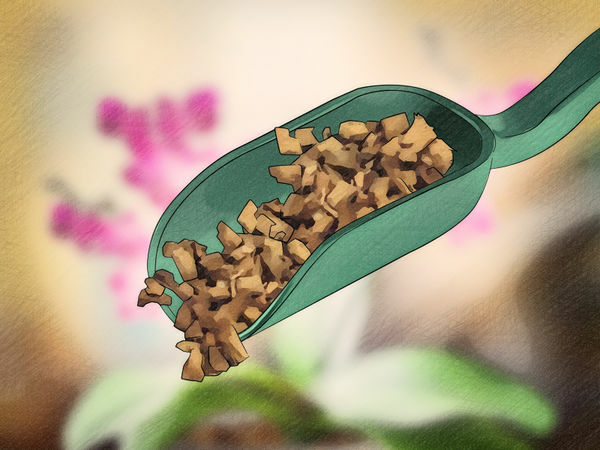 A free-draining blend of fir bark (sometimes referred as fir bark nuggets) is the most popular potting material for moth orchids. If you can’t identify your plant’s current growing medium, re-pot it in fir bark. Without adequate air circulation and drainage provided by an appropriate potting material, an orchid will suffocate and die. 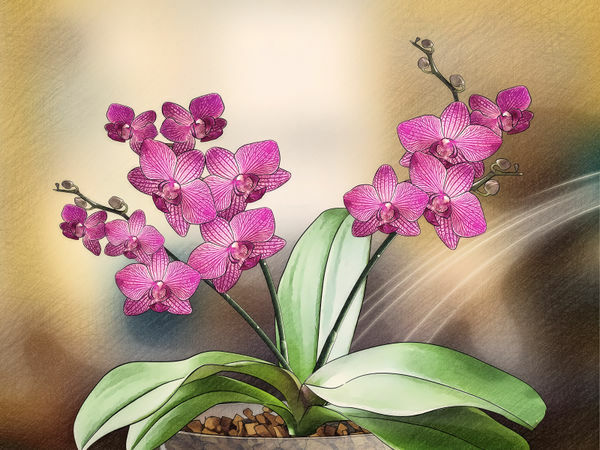 Most orchids will also grow in peat moss, dried fern roots, sphagnum moss, rock wool, perlite, cork nuggets, stones, coconut fiber, lava rock or a blend that combines several of these materials.